Here is a project recently installed, made of knotty pine. The color of the wood is a fresh, yellowish-white. 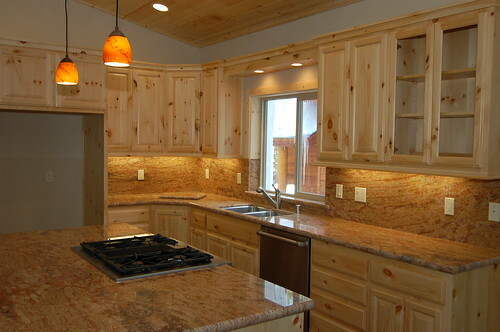 In time, this will age to the orange-hued pine we are all familiar with, typical of the Tahoe cabin.